Four weeks to ship first product, and our client’s original in-house controller design was non-functional. Hundreds of on-campus laundry facilities nation wide were waiting. Internet-enabled laundry control and monitoring services to thousands of college students might have to wait yet another semester. Orchid was called in to design, build, and test a new controller—in record time! Laundromat control requires the application of low cost, industrial quality electronics with high reliability. Multiple machines in variable configurations and conditions require high pin-count digital and analog interface electronics. Couple that with World Wide Web page hosting of status and control information for multi-machine installations and you’ve got a world-class Laundromat facility. “Wash,” “Spin,” “Rinse,” “Dry,” or “Available”—all viewable from your dorm room by Internet. Wow, not when I went to school!! 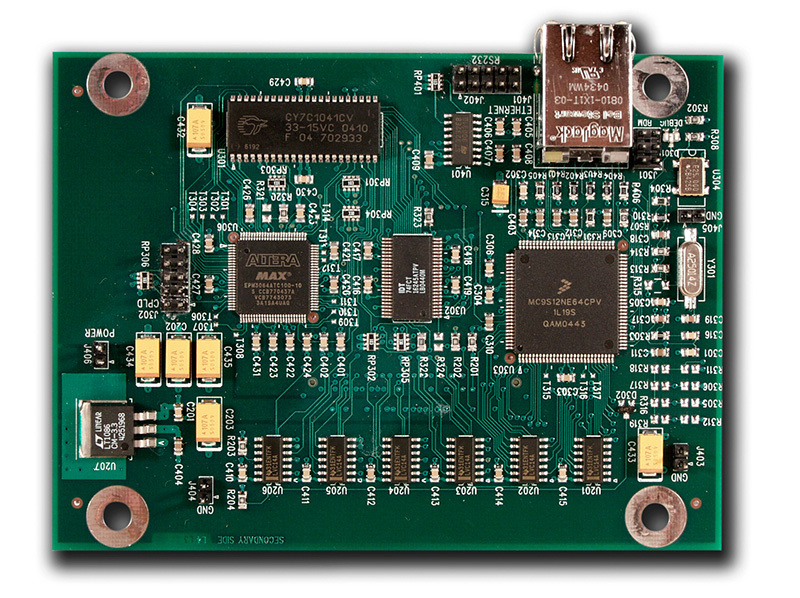 Orchid selected a Freescale MC9S12NE64 microcontroller as the brain of this low- cost Internet-enabled industrial controller. The NE64’s feature-rich complement of flash program store, static RAM, Ethernet Controller with Phy, timers, analog- to-digital conversion circuitry, and robust processor reliability make the NE64 a perfect fit in the low cost Ethernet marketplace. Low-cost Internet-enabled electronics from Orchid Technologies make remote Laundromat control something to write mom about. "Our own controller design was not working. First customer shipment was only weeks away. I thought, 'We're all washed up!' But Orchid really came through to save the day! Putting Orchid on the job was the best decision I could have made."